A tropical Shangri-la nestled upon a coral jewel set amidst Palawan’s sparkling turquoise waters. Comely and idyllic, this island resort is a perfect hideaway for those who seek both relaxation and discovery. 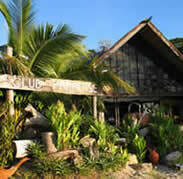 Club Paradise is in Dimakya Island, Municipality of Coron. A part of the Calamian Group of Islands, it is situated at the northern tip of Palawan, the Philippine’s last frontier Club Paradise. Where possibilities are blissful, endearing and endless. Copyright © 2012 PalawanResortsHotels.com - Cheapest Palawan Tour Package Philippines.